Every month in the United States, three million children miss school due to fear of bullies. In the Gracie Bullyproof program, our goal is to instill in your child unshakable confidence so they can overcome bullies without violence. Due to the non-violent nature of the techniques, CNN, ABC, NBC, and Oprah have featured the Gracie Bullyproof program as one of the few effective counter-measures to bullying for children between the ages of 5 and 13. We will teach your child to use verbal assertiveness to deter bullies and several non-violent self-defense techniques to stay safe if physically assaulted. Importantly, we don’t teach how to punch or kick, since this often does more harm than good. Instead, we use leverage-based control holds to neutralize threats without violence. Numerous school districts have embraced the defensive nature of the Gracie Bullyproof techniques as a reasonable, nonviolent response to bullying and some even host Gracie Bullyproof classes on campus! The bottom line is: we will prepare your child to defend themselves against bullies without turning them into one. If you’re interested in instilling your child with unshakable confidence while reinforcing positive values and good character, the Gracie Bullyproof program is for you! Scroll down to learn more about this groundbreaking youth empowerment program! Last year, Austin was viciously assaulted by a bully in front of his peers. To see what Gracie Bullyproof can do for your child, click on the video player below and watch Austin’s 1-Week Transformation at the Gracie Academy. Studies suggest that bullying may be the leading cause of low self-esteem in children, and according to some surveys, less than 15% of kids actually report acts of bullying. Children’s inability to stand up to a bully is rooted in profound fear for their personal safety. Ironically, the victims know that they must confront the bully and would like nothing more than to stand up to them. But, they simply can’t follow through for fear of the physical harm that backs the bully’s every action. And, therein lies the challenge – how do you instill in a victim of bullying the confidence to face the tormentor, look them in the eye, and back them down? The answer is simple – teach the victims to defend themselves against physical attack, and the rest will follow. Most martial arts programs rely on striking the attacker with violent punches, kicks, knees, and elbows, but in the Gracie Bullyproof program we take a different approach. All the techniques are purely defensive and utilize no strikes. Furthermore, we teach children how to defuse confrontations with words and never to initiate physical aggression. If attacked, we offer techniques to non-violently neutralize the threat and gain control until help arrives. In the Gracie Bullyproof program, we teach the children how to fight fire with water so that you never have to worry about your child becoming a bully under our guidance. Increased Awareness: Harassment comes in many forms. Sometimes, a victim doesn’t take a stand because they can’t differentiate between “joking” and “bullying.” We teach your child to differentiate between harmless play and harmful harassment so they know precisely when and how to act in each circumstance. Unshakable Confidence: A confident child is a Bullyproof child. Bullies seek “easy targets” – those who will tolerate their abuse. We arm your child with the tools needed to overcome physical, verbal, and psychological harassment, so they are so confident in themselves that no bully will try to harass them. Total Responsibility: We prepare your child to deal with bullies without turning them into one. We emphasize discipline, responsibility, and respect throughout the course, and teach five “Rules of Engagement” to ensure they never abuse their power. Teaching a child jiu-jitsu without teaching them when to use it, is akin to giving someone a gun without teaching them how to use it. Gracie Bullyproof is the only kids jiu-jitsu program that actually teaches children precisely when they can, and cannot, use the techniques they are learning. The five “Rules of Engagement” are regularly rehearsed in class so that children will never abuse their power and, equally important, they will not hesitate to take a stand when abused by bullies. Rule 1: Avoid the fight at all costs. Rule 2: If physically attacked, defend yourself. Rule 3: If verbally attacked, follow the Three T-steps (talk, tell, tackle). Rule 4: Never punch or kick the bully, establish control and negotiate. Rule 5: When applying submissions use minimal force and negotiate. Although we discuss the Rules of Engagement in Gracie Bullyproof classes, we strongly encourage you to discuss the Rules at home to assure your child that they have your support in the event that they need to take a stand against bullying. To see the Gracie Bullyproof Rules of Engagement featured on the morning news, click here. One of the most pervasive and damaging forms of bullying is verbal harassment. Gracie Bullyproof is the only kids’ jiu-jitsu program that makes Verbal Assertiveness Training, or as we like to call it “Verbal Jiu-Jitsu,” part of it’s regular curriculum. We’ve devised a series of role-playing exercises to teach kids how to identify and manage the common threats associated with verbal harassment and relational bullying. Gracie Bullyproof students learn how to differentiate between “bullying” and “joking,” and not only are kids taught how to speak assertively when necessary, but they also learn how to use direct eye contact and confident posture to deter bullies from targeting them. Nearly all jiu-jitsu schools have all of their youth students bunched into one class, and a few schools have classes separated by age group. The Gracie Bullyproof program is one of the only youth jiu-jitsu programs that separates it’s kids by age AND experience level, so that every child gets the perfect balance of fun and challenge in their weekly classes. All kids begin in super-playful entry level programs for their age group, and as soon as a child reaches a certain level of maturity, they are promoted to the next training program. The Little Champs program is for kids 5-7 years old (we offer private lessons for children ages 3-4). Using our time-tested “Gracie Games,” we teach the Little Champs basic self-defense techniques while instilling the foundational principles of leverage and control. The secret to the success of this program is that we make the lessons so fun that the kids beg for more! Once a child masters all ten Gracie Games, they advance to the Jr. Grapplers program. In the Jr. Grapplers program, we focus on 33 non-violent self-defense techniques that teach children to “neutralize and negotiate” with the bullies. Verbal assertiveness strategies are a major portion of this curriculum. A child needs absolutely no experience to start, and we guarantee a noticeable increase in your child’s confidence within a few weeks! 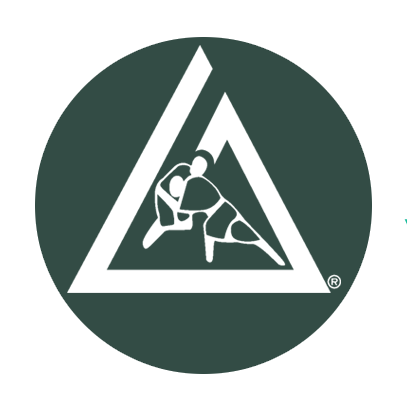 We invite children who excel in the Jr. Grapplers program to join the Black Belt Club. This is our most advanced youth jiu-jitsu program and joining the Black Belt Club is the highest honor for any youth Gracie Jiu-Jitsu practitioner. Kids in this program possess all the traits necessary for success on the path to black belt: discipline, respect, courage, leadership, loyalty, and compassion. Above all else, the teaching methodology used in the Gracie Bullyproof program is unlike anything else in the jiu-jitsu community. Not only are all the entry-level techniques presented in the form of “jiu-jitsu” games so that kids are highly enthused about learning them, but we use “push teaching” rather than “pull teaching.” When a child makes a mistake, we don’t focus on the error, instead, we emphasize the correctly executed aspects of the move. Through this carefully layered positive reinforcement, we help the kids reach their full potential without jeopardizing their love for the art. We have found that our instructors develop powerful bonds with every student at the Academy, but especially with our youth practitioners. We leverage this connection to help you develop your child’s character for success in all aspects of life. The Gracie Character Development Program consists of six chapters: Responsibility, Health, Respect, Citizenship, Manners, and Caring. We spend two months on each chapter. In every class, we discuss the featured character trait for 10-15 minutes, emphasizing the simple things your child can do to make it a part of their life. The secret to success lies in our use of a unique point-based reward system that we tie to attendance at Gracie Game Day, a special two-hour party where they get to play tons of games with all the instructors and kids. Only kids who score enough points during the two-month period qualify to attend Gracie Game Day, so it’s a powerful incentive for kids and a useful tool for parents to develop positive behavior at home and school. Gracie Game Day is so much fun that parents will often put on a uniform just so they can join the party! Upon enrolling your child in the Gracie Bullyproof program, you qualify for a free subscription to GracieKids.com. GracieKids.com provides you with detailed video instruction on every technique in the course enabling you and your child to review techniques, or learn new techniques, from home! Furthermore, if you ever take a family vacation to a destination that has a Gracie Bullyproof Certified Training Center, your child can participate in a class free of charge! Most martial arts schools limit you to only one free trial class. We offer new students a 10-day risk-free trial that includes a free uniform and unlimited access to all of our beginner group classes. We’re confident that the class structure, the camaraderie, and high quality instruction will convince you to let us guide you on your path to jiu-jitsu mastery. If it’s not exactly what you are looking for, we will never charge you a penny (the only requirement is that you return the free uniform that we provided to you). To book your Free 10-day unlimited trial, please use the form below. *If you are experiencing any technical difficulties with this page, Please contact our tech support guru here. Copyright 2018 Gracie Jiu Jitsu Monterey, All rights reserved.